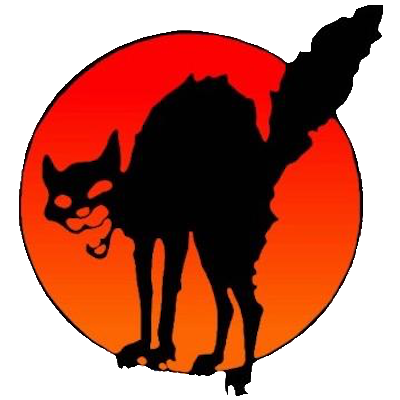 In mid-November 2018, Germany’s anarcho-syndicalist workers union, the Free Workers Union (FAU), organised a conference in Jena / Thuringia on working and organising in the educational sector with a focus on higher education. Several grassroots initiatives and unions responded to the call and attended the conference, also FAU’s Polish sister union, the Workers’ Initiative (IP). After workshops on practical issues such as the organising of educational workers, union representation in labour courts and campaigning for particular demands, an international pannel discussion on bigger labour struggles at European universities was held. A comrade of FAU Berlin’s educational workers’ section described the way FAU Berlin participated in the broad strike movement of student research assistants for a new collective contract at Berlin universities in the first half of 2018. The movement was officially led by the social-democratic unions, but supported by grassroots initiatives and FAU Berlin as a radical minority organisation. A comrade of IP’s section at the Warsaw university gave a talk about the protest and strike movement that formed this summer at Polish universities in a bid to prevent an authoritarian and neoliberal reform of higher education. This movement, too, was supported by a wide range of organisations and initiatives. 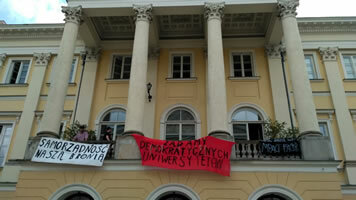 IP was part of it and during the strike it managed to establish a new section at the Warsaw university. The conference was supported by FAU’s International Committee which first brought up the idea to invite comrades from abroad. We are very happy that a representative of IP accepted the invitation and joined the conference, broadening its horizon and giving it an internationalist spirit. FAU and IP are both part of a new network of radical workers unions, the International Confederation of Labour (ICL). One of its goals is to bring together workers and union activists from different countries. IP’s visit to FAU’s conference this November is part of a series of mutual visits and speaking tours. After the foundation of the ICL this May in Parma (Italy), a comrade of the Spanish CNT made a speaking tour through Germany, giving an anarcho-syndicalist perspective of the Catalonia autonomy issue, members of the Spanish CNT, German FAU and Polish IP came together for a workshop on shop-floor organising in Berlin and a member of FAU attended the Spanish CNT’s summer school.